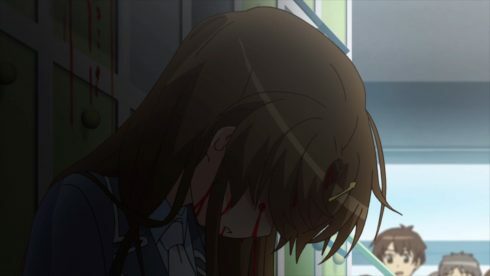 I think the only proper reaction to the end of this episode is shock. This episode certainly ended on a pretty incredible moment. I didn’t go into this episode expecting a “holy crap” kind of scene. There is nothing you can properly call that scene than utterly brutal. 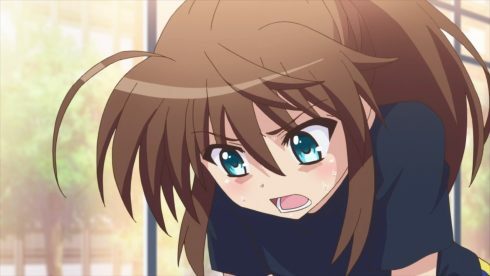 Vivid Strike is staying on point in terms of showing some realistic problems for us in a world like Midchilda. Bullying isn’t exactly a unique problem in the world, but that doesn’t make it any less serious. For those who deal with any level of bullying it is a serious problem that dominates a major part of their day. And we really did see how far Rinne went when pushed too far. The scary thing being that this wasn’t even the worst case scenario. At the same time as I thought the scene was utterly brutal and shocking…I did think it was satisfying. The episode took time to get across that these three were scumbag bullies. 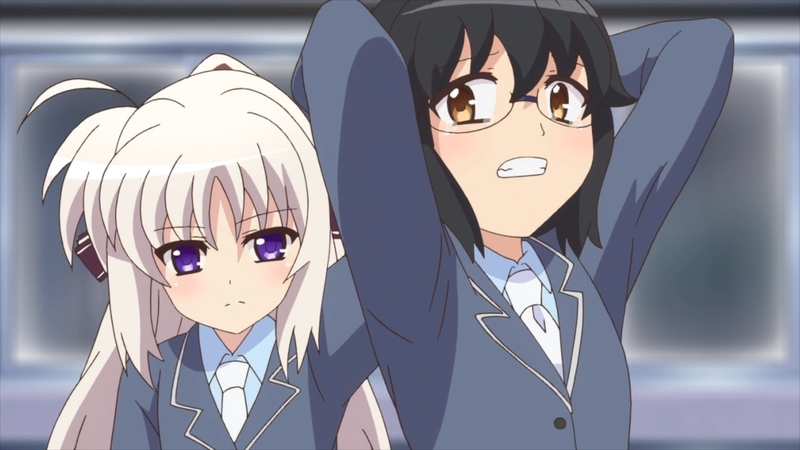 There wasn’t much that Rinne could have done to them that would have overly bothered me. This episode just kept hitting home how terrible those three were. They pushed and harassed Rinne without end. Those three going so far as to basically extend the olive branch only to beat her with it. It was nothing but a constant barrage of harassment and abuse that finally came to a head when her grandfather passed away. 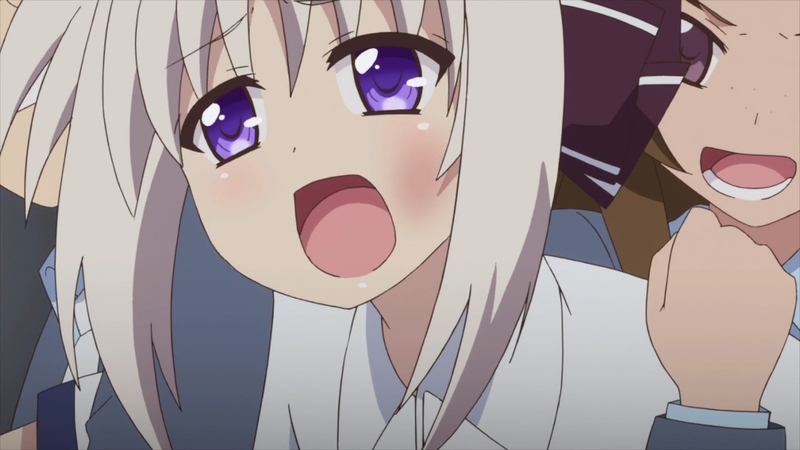 There was simply no stopping Rinne at the end of this episode. The grief and r age all came together in a shocking display of violence. Of course you can also throw in there the sense of shame and guilt on her part. 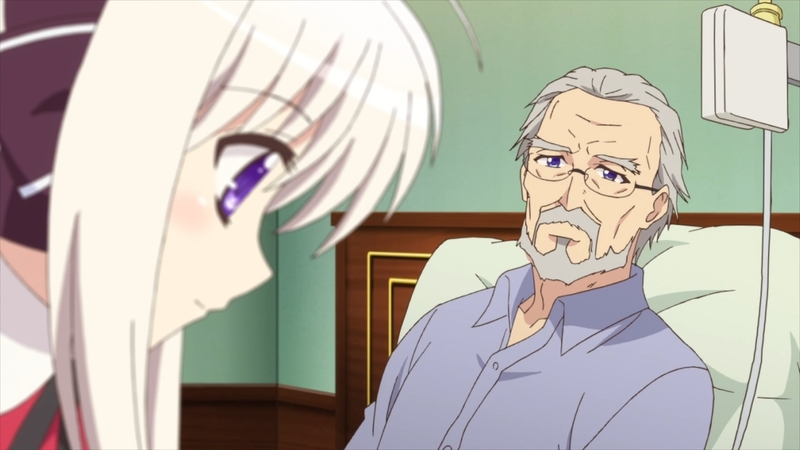 Rinne couldn’t be there at the end for her grandfather and I’m sure she partly considers that her fault. If she had done something like this earlier then that wouldn’t have happened. 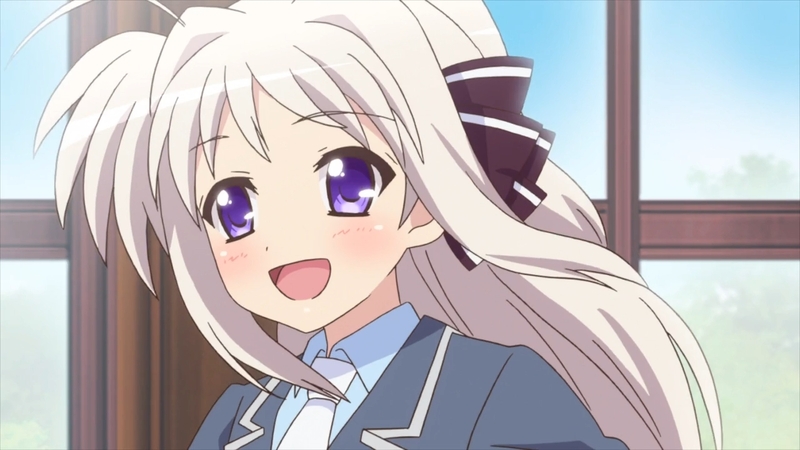 Or perhaps Rinne thinks that it is because she went along with the teacher’s suggestion and stood out that lead to that situation. Regardless the end result was that scene. It was shocking but also satisfying to see those three have their bad deeds come back to haunt them. They thought that beating someone unconscious might get them into a little trouble…That’s how far their brains processed what happened the previous day. I suppose these three show why we need a legal system. Fear of punishment is sometimes the only thing that will stop people from doing things like that. It was shocking to see what happened, but I don’t feel bad for those three. It was a tactical picking apart of the bullies. 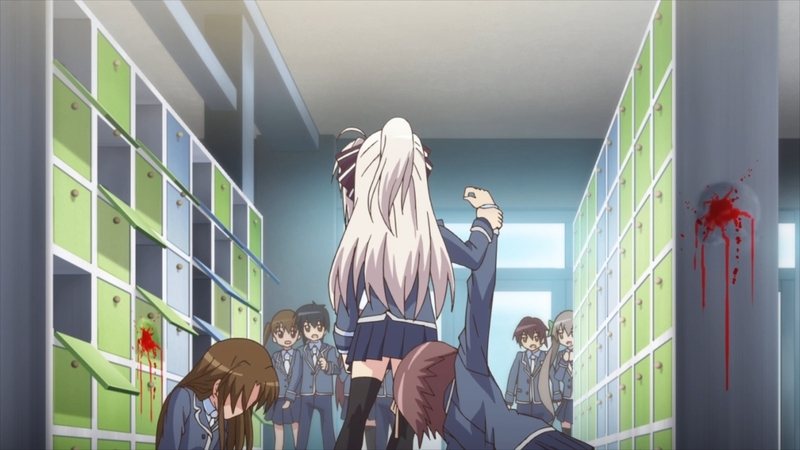 Rinne immediately prevented counterattacks by taking out the first girl so brutally. Breaking her arm scared the heck out of them and she could quickly crush the others. It was bloody and messy, but that’s what happens when you push people too far. I suppose in a sense it’s not overly surprising. The one lucky break is that Rinne simply resents the people in the school who knew what was going on but turned a blind eye. She didn’t determine them to be equally responsible and also attack them. It was almost a result that flowed from who Rinne was and where she came from. 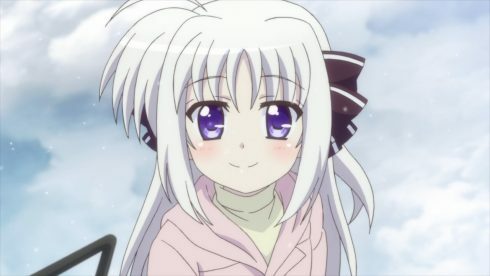 Rinne even from the earlier flashbacks was a quiet girl. She was pretty friendly, but when things got uncomfortable she got quiet and tried to pacify the aggressors. That lead to her being quiet about the bullying for all that time. 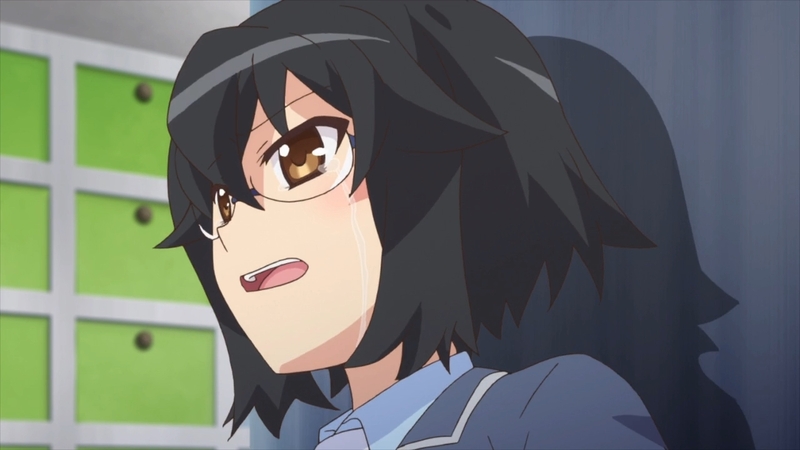 But when she decided enough was enough, she kind of followed the example of Fuka from episode 1. Just hit them back hard! I don’t think she was rationally thinking like that, but maybe that was part of the equation. 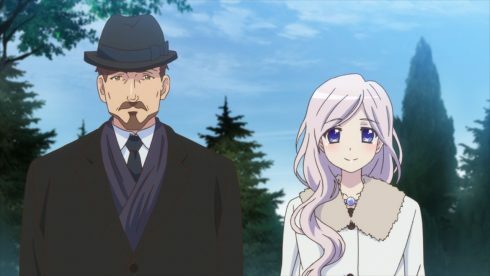 At least the family that adopted Rinne did appear pretty nice. If there was something unusual going on behind the scenes I don’t think there is any malice involved. They seem like pretty decent people who were happy to add someone to their family. 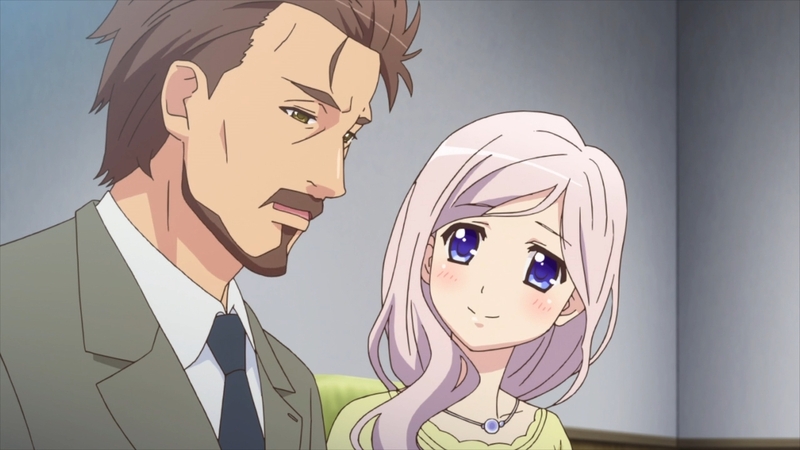 Too bad for the other kids I suppose, but yeah Rinne at least looks like their biological daughter. The girl was a born athlete who just never wanted to stand out. I’m not surprised she did her best to hide any talent during gym classes. She just wanted to quietly live with this new family she’d gained. Standing out or being an athlete just didn’t appeal to her in comparison to spending time with her ailing grandfather. 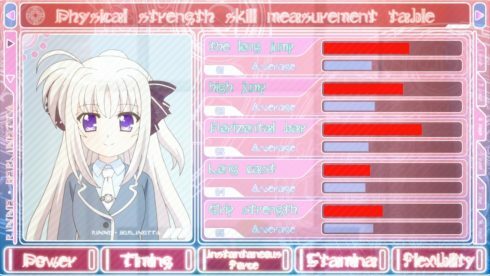 I don’t blame the teacher for pushing Rinne a bit and finding her talent. Not her fault that bullies and jealous people exist. In the end Rinne found an avenue for her incredible talent and ability. I’m more than curious for the additional info on the aftermath of that incident. Presumably they will talk about what happened after Rinne snapped. I wonder if someone covered it up, considering Fuka didn’t hear about any incident like this nor was it mentioned by commentators. Midchilda might have its own means for sealing the records of children. Considering the brutal beatdown there is no way the students kept quiet about it. 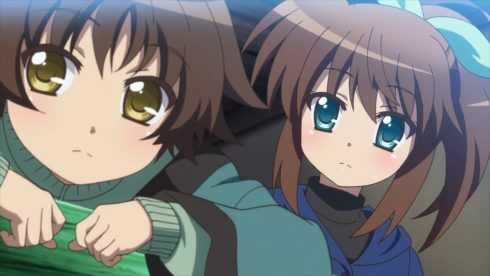 Regardless I suppose it makes sense that Rinne found a desire to become stronger so nothing like this could ever happen again. 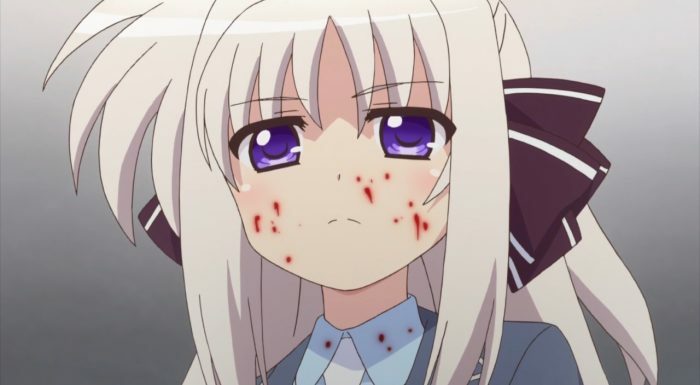 Rinne gained the ability to fight like this just for that sake of that end rather than having any real interest in it. I’m curious what her parents now think of Rinne in her current condition. It was overall a strong episode. 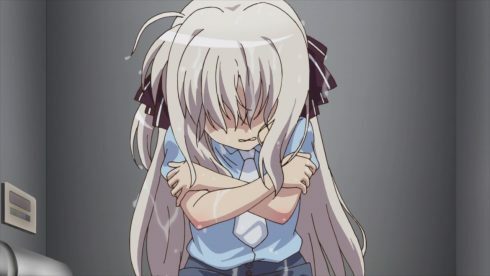 I didn’t love the bullying segment, but that’s because it’s bullying. It’s not exactly supposed to be an enjoyable topic to watch. 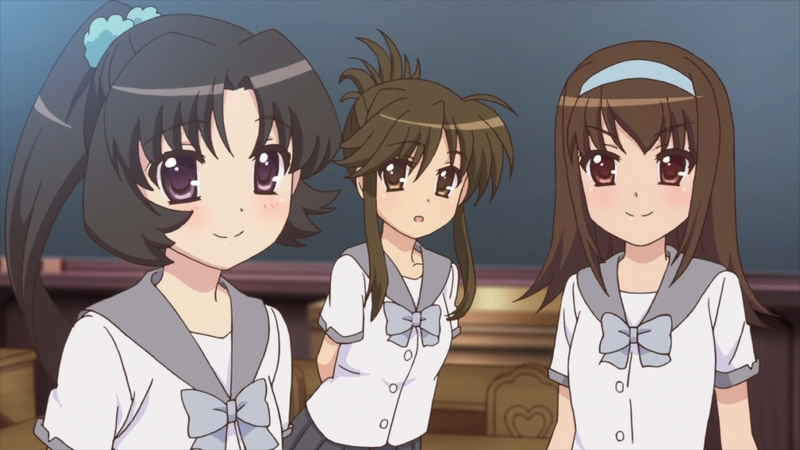 I would have liked to see that last meeting at the orphanage between Fuka and Rinne. We did get insight as to why Rinne was so attached to her grandfather and why she snapped so hard. Although it doesn’t change the fact that Fuka has to get through to her. The way Rinne is going isn’t going to make her happy. No one at that school can or will step up to do anything. 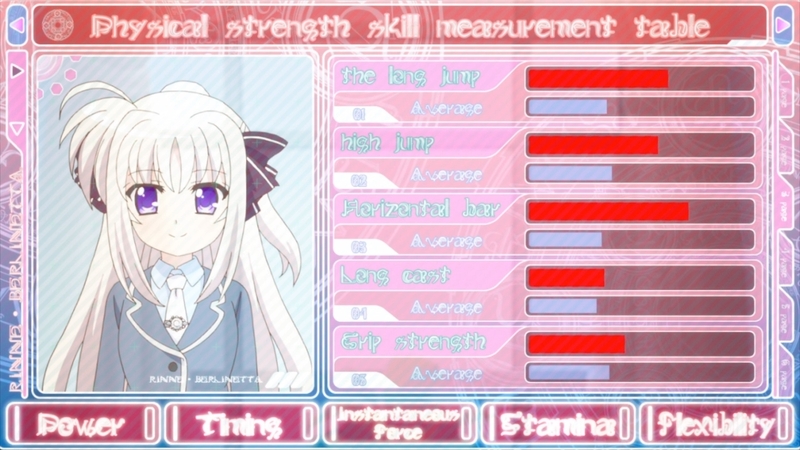 There are plenty I’m sure who idolize Rinne and her strength. But, in the end they can’t get through to her. 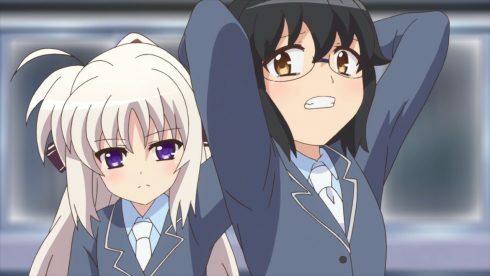 Rinne probably sees all of them as the same. 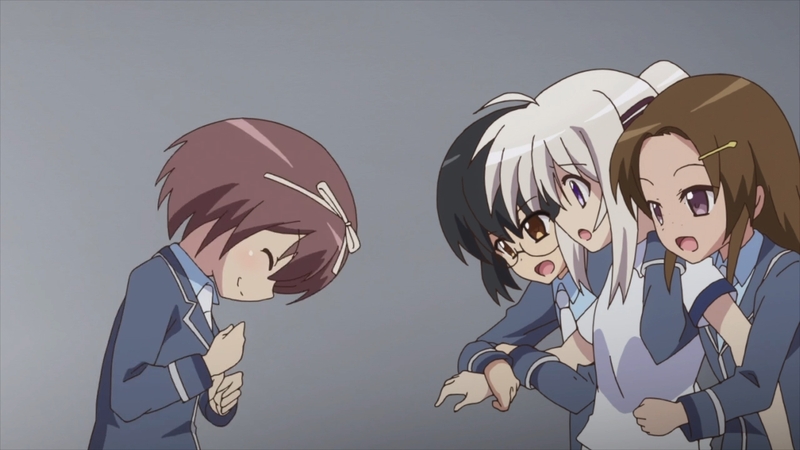 Either they are bullies or they are those who didn’t care about Rinne when she was clearly hurting. It is up to Fuka to get strong enough so Rinne will stop and listen to her again.